The Subaru BRZ and Scion FRS are built for speed and if you like driving them hard then the stock suspension bushings might be aging before their time. Rubber is great at absorbing vibration but when it comes to performance they deflect under stress and fail to hold alignment angles. Besides the wear of hard driving, when you throw in some road salt or excessive heat those bushings might be degrading or cracking already. 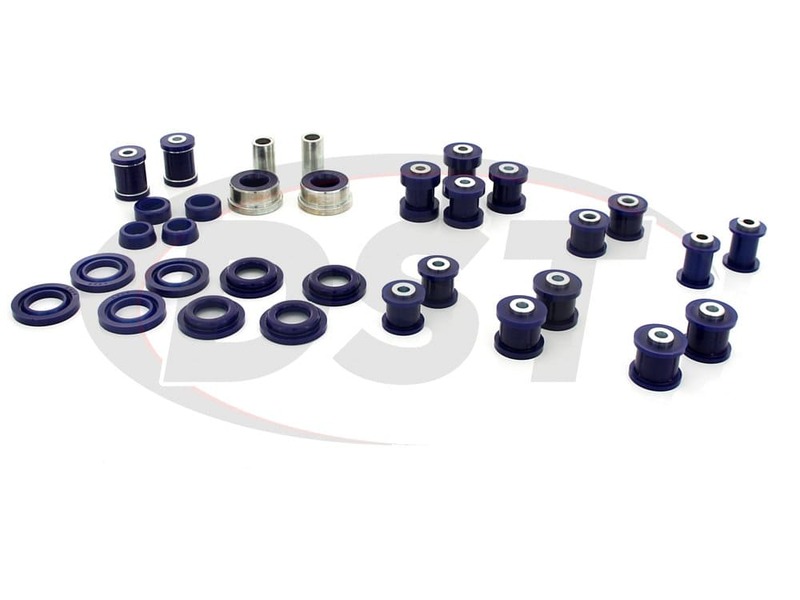 Whether you head to the Motorsport Ranch in Cresson every weekend or just enjoy aggressive driving and fast corners, rubber bushings will keep the ride as smooth as possible but they won't offer the performance of a stiffer racing solution. 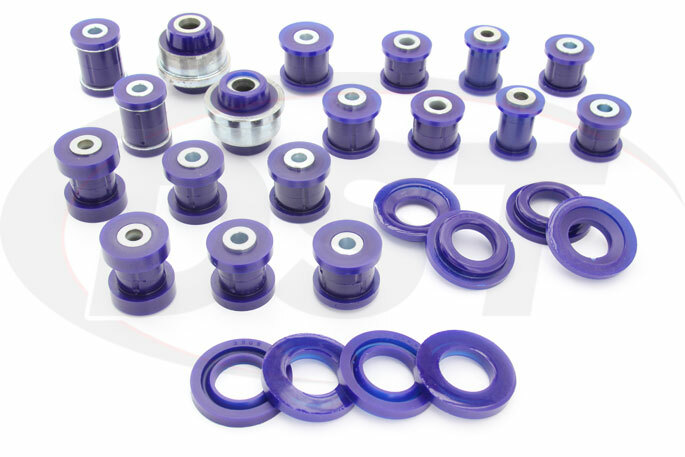 Your Subaru or Scion came from the factory with rubber suspension bushings because they provide the smoothest ride and they're cheap. 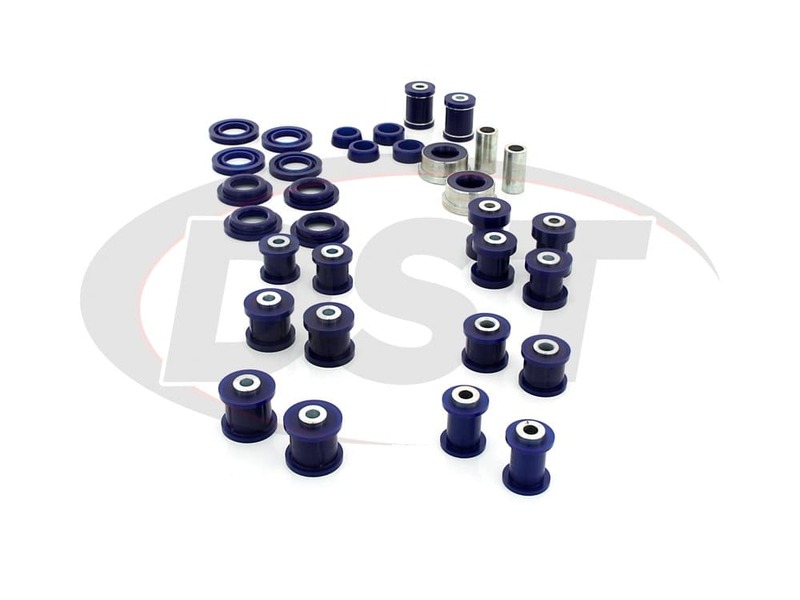 But if you want more out of your car then these bushings won't be able to keep up for long. Dedicated track cars will usually have solid metal mounts and spherical bushings in many suspension positions, but this can make a daily commute unbearable. 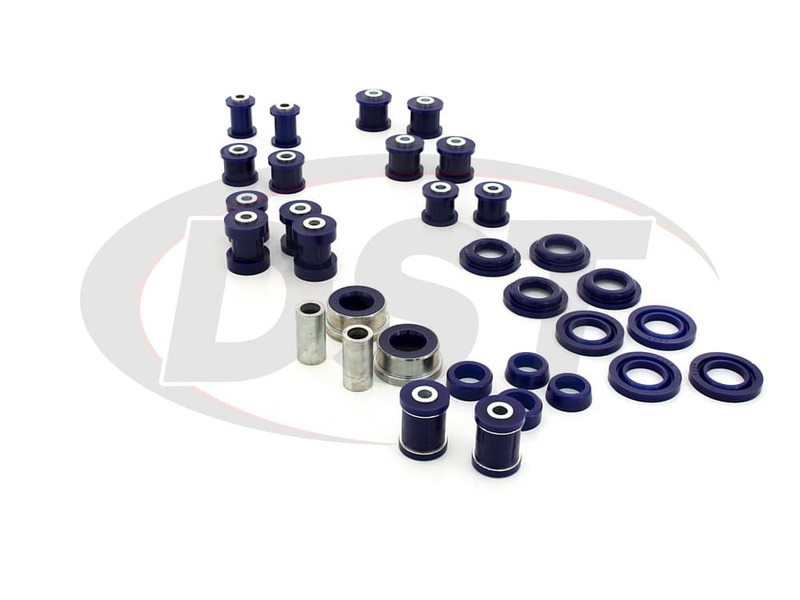 To fill the gap between daily driver comfort and race car performance SuperPro offers a bushing enhancement kit for the front and rear suspension of the BRZ and FRS. 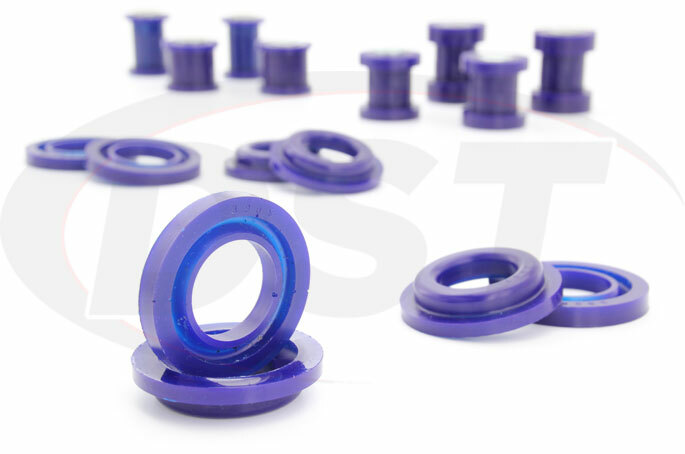 Polyurethane bushings don't deflect like rubber but offer a much softer ride than metal, providing a dramatic performance increase without rattling your teeth on the way to work. 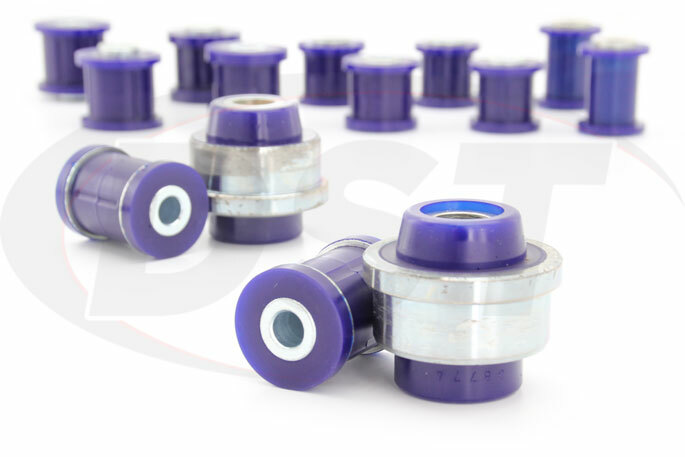 These bushing positions were specifically selected to give you the most bang for your buck and leave out the extra parts that won't have as much of an impact on the handling of your car. Basic improvements will be seen in traction during a turn, even tire wear, consistent zero degrees thrust angle, and improved response from the steering wheel. Buying this kit gives you 8 premium parts at a lower cost than buying them individually plus you save on shipping. 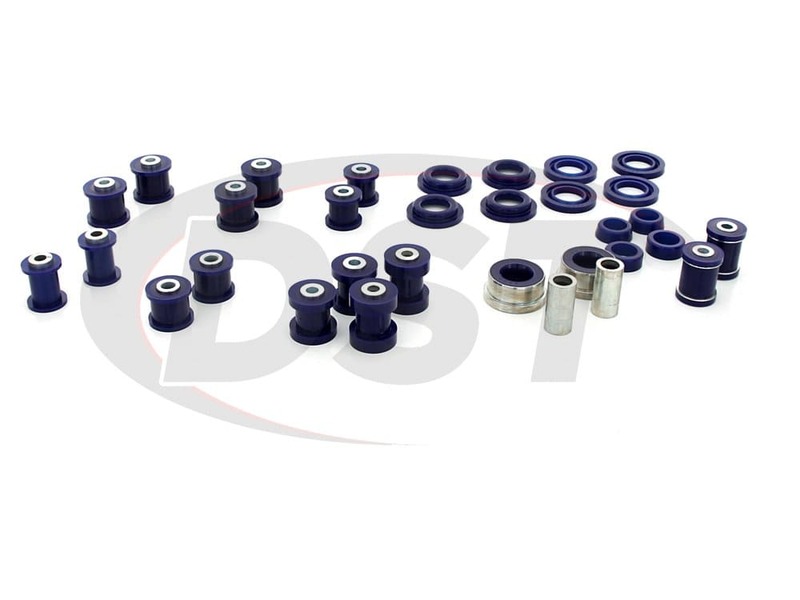 These bushings are also covered by one of the best lifetime warranties in the business since it covers racing and offroad applications and here at DST we handle this warranty in-house so you don't have to deal with the paperwork or phone calls. 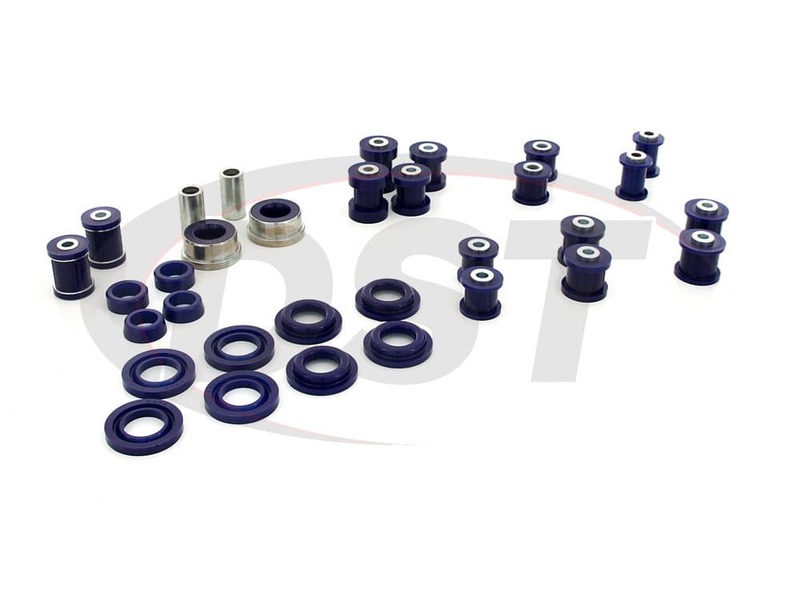 If you want to sail down the interstate during the week and attack the track on the weekend and feel at home in both places, check out this SuperPro polyurethane bushing enhancement kit. Does the bushing replacement kit174k for the 2015 scion frs still fit the 2016 year scion frs? Yes, part number kit174k will work for the 2015 and 2016 Toyota Scion.